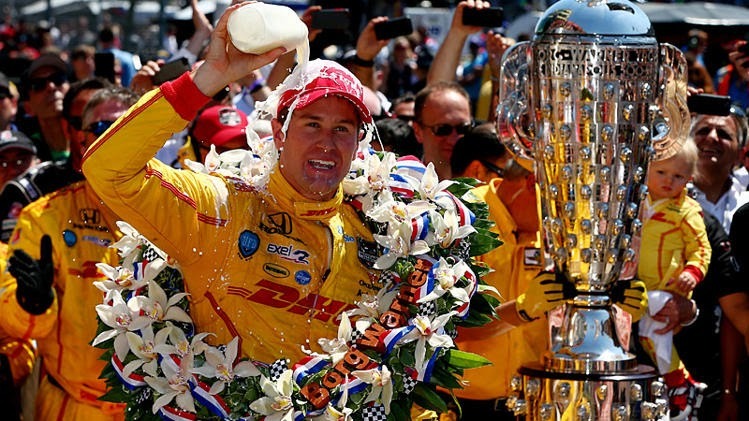 Of course, it seems somewhat ridiculous to consider Hunter-Reay a star now considering he is a former series champion, having won the 2012 IndyCar Series championship in a very tight finish with Will Power. But in the realm of American open wheel racing, nothing competes with an Indianapolis 500 victory. As I noted a year ago, IndyCar is in need of a home-grown, American face of the sport. Of the drivers that have made a start in the Verizon IndyCar Series season, a little less than a third are American. And of those 11 drivers, the only one that is recognizable (save for Kurt Busch, who is in a completely different category) is Marco Andretti, who has a built-in advantage thanks to his last name. The biggest way for an American racer to break through is in the sport's marquee event and with a strong performance all day at IMS, leading a race-high 56 laps, Hunter-Reay did just that and more. And with his victory, he has the opportunity to be the new face of the sport and be the face the series to grow and compete with NASCAR, who surpassed IndyCar many years ago it seems. Of course, it would be a little unfair to anoint Hunter-Reay as a savior, a potential America face will not be the magical solution to help make open wheel racing what it once was in this country. But having a new American racing star could only help.